Admittedly, I’m a saltwater kind of person, and a good vacation has always required an ocean beach. The appeal of lakes never truly hit me until I visited Italy’s lake district. Americans overlook this alpine region pocked with freshwater -- aside, maybe, from the famous Lake Como. 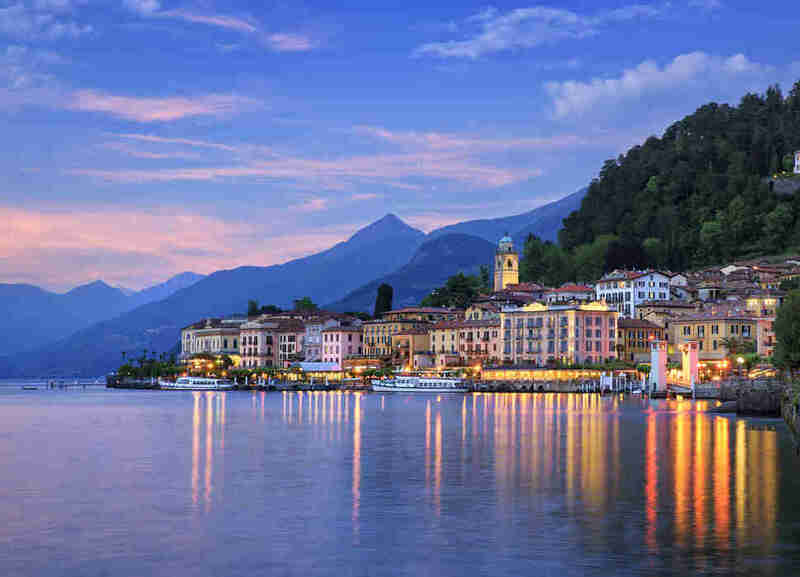 But around Italy (and pretty much the rest of Europe) vacationers know and love these lakes between Verona and Milan, each with a distinct scene, whether that be sailing, celebrity, or simply being hidden. In this region, you’ll find views for days: bright blue glacial lakes nested beneath jagged limestone peaks, set against the old-world architecture of the villages below. You’ll feel decidedly, Italianly chic as you jet around on sleek riva boats, yet you’ll find distinct German and alpine influences and accents. You’ll find wine regions, history dating back to the Roman empire, a zillion micro-regional cuisines, and lakes so big the ocean will forgive you for swooning. So what if it doesn’t have salt? What it lacks in sodium, it makes up with just about everything else. It’s a spectacular patch of earth. Here are a dozen of its best spots worth a vacation. Italy’s second-biggest lake is just 34 miles from Milan’s international airport and nuzzles its way into Switzerland. It’s less glitzy than Como, but the good life thrives in the town of Stresa, where the train from Milan’s central station pulls in. Hire a boat and tour the Isole Borromee -- the three islands in the center of the lake. Should you feel the need to skip borders, hop on the ferry, take in the sights, and hop off in Switzerland -- just make sure your passport is handy. George Clooney hangs here for good reason: This lake is flat-out gorgeous. 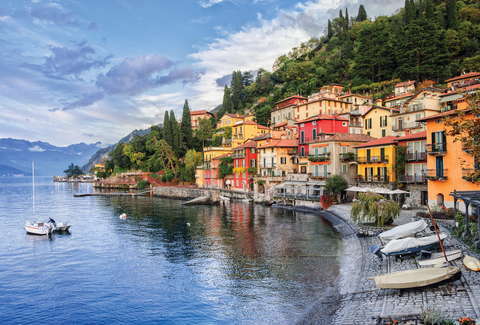 Scope out its small towns -- Bellagio, Varenna, Menaggio -- by riva boat, or go villa-hopping. 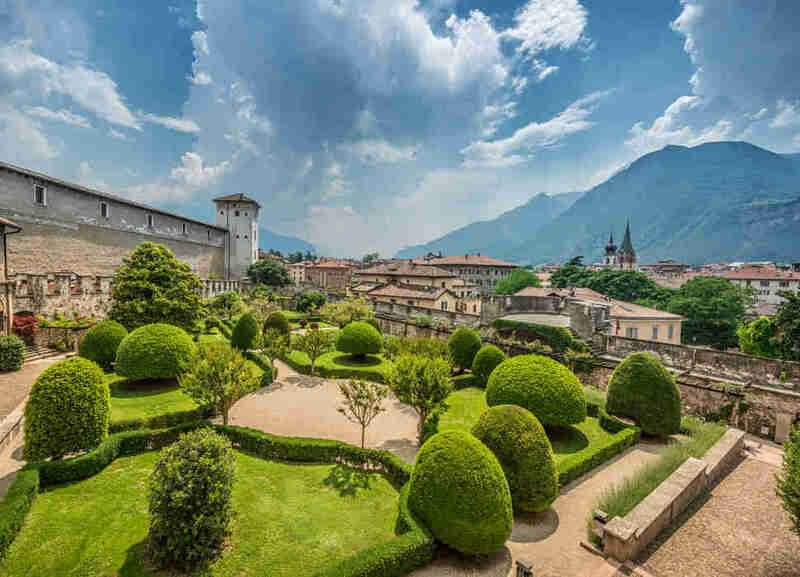 Several are open to the public, including Villa del Balbianello (of Star Wars fame); Villa Carlota, known for its gardens; and majestic Villas Monastero and d’Este. Along the way, watch for fine silks: The Como region supplies a ton of 'em to Milan. This jewel between Lake Como and the Italian Alps merits a stop all its own. Head out of the town center to Punta Spartivento, which offers sweeping views of the mountains and Switzerland beyond, including the spot where ancient Roman magistrate Pliny the Younger (the person, not the beer) kept a vacation villa 900 years ago. Of the lakes in the region, Iseo has the most local feel, which also means it’s decidedly low-key as the region’s smallest pool. 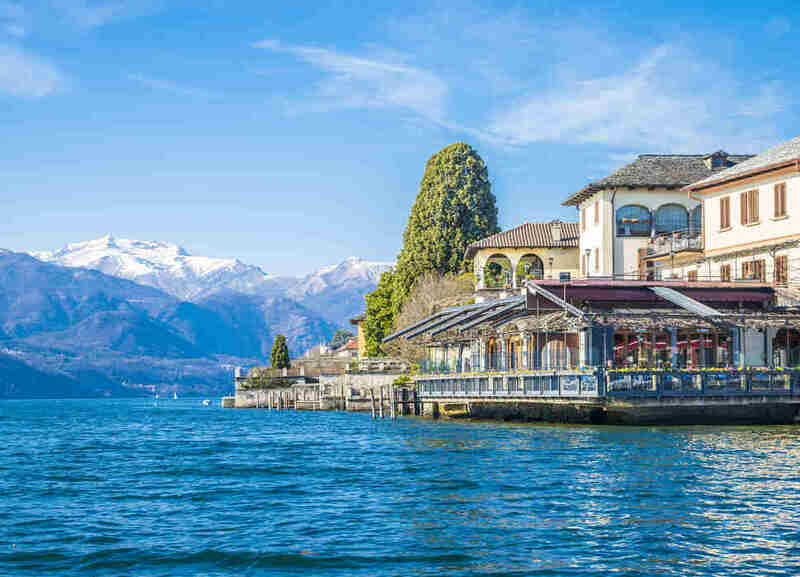 Also known as the home base for the Franciacorta wine region, on its southern shore, Lake Iseo is squarely in polenta country, meaning its trattorias serve piping hot dishes filled with lake fish, polenta and the local Franciacorta bubbles. The little commune Sulzano is a good home base for the area, with affordable boutique hotels and unobstructed views of Monte Isola, the green monolith that juts out of the lake. Taking one of the ferries from Sulzano is the quickest and easiest way to get to Monte Isola, which is a quick traghetto ride from the mainland. Peschiera Maraglio is the main town on this car-less island and it truly feels like a step way back in time. 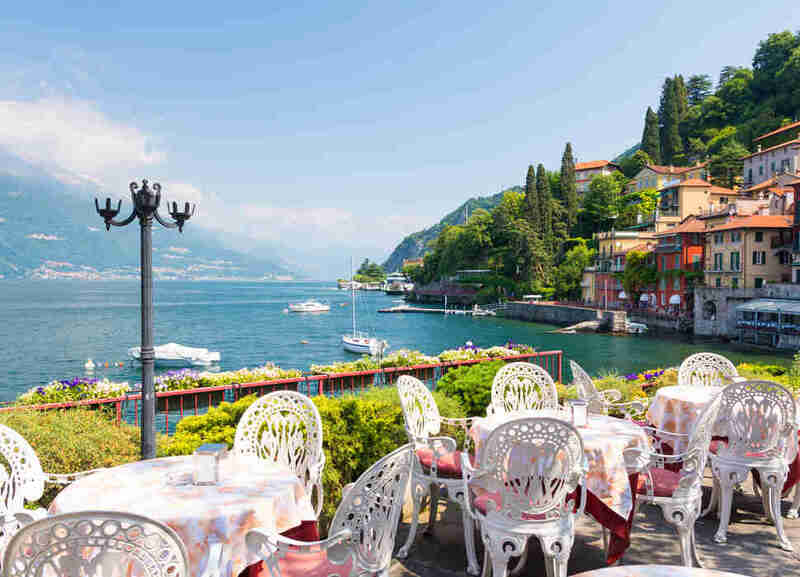 The road is dotted with small trattorias, all with lake views, gelato shops, other small stores, boutique hotels, and red-tile-roofed homes laced with bougainvillea. Drying nets and fish dot the island, reminding visitors that this is foremost a functional fishing village. Stay for dinner to catch the sun setting behind the town of Iseo and the rest of Franciacorta. 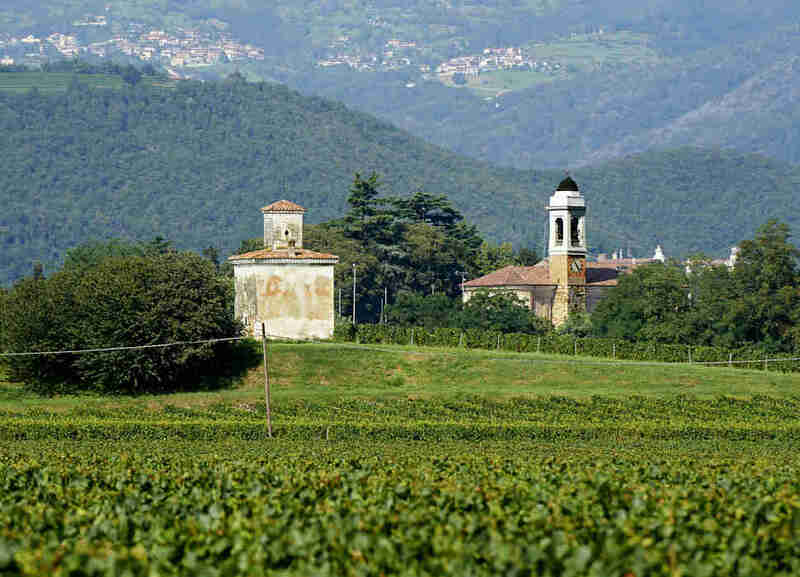 Speaking of Franciacorta: Add this region’s name to your vocabulary of Italian sparkling wines alongside Prosecco, Asti Spumante, and Lambrusco. 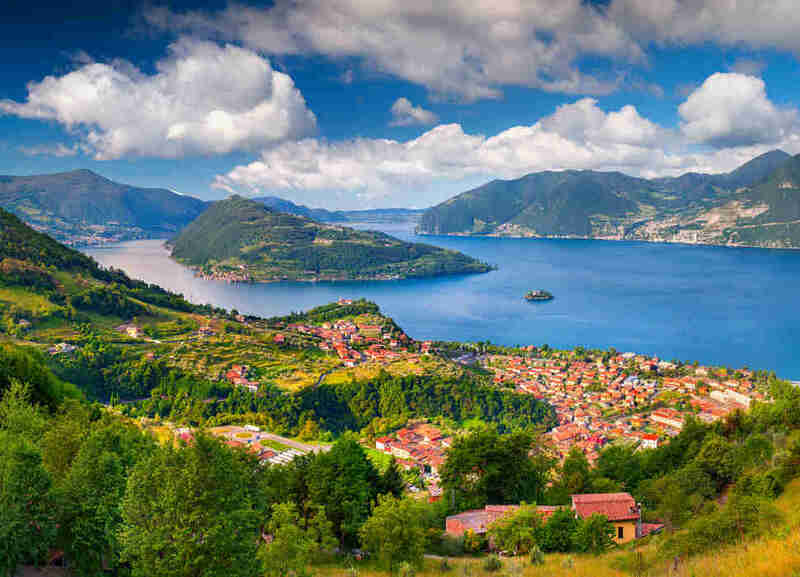 Right on Lake Iseo and considered one of Italy’s best kept secrets, Franciacorta boasts more than 100 wineries that make Champagne-style wines. You’ll also eat spectacularly here. To burn off the bubbly and the burrata, hike across one of the nearby mountains or hop on a bike for a ride through the towns in the valley. 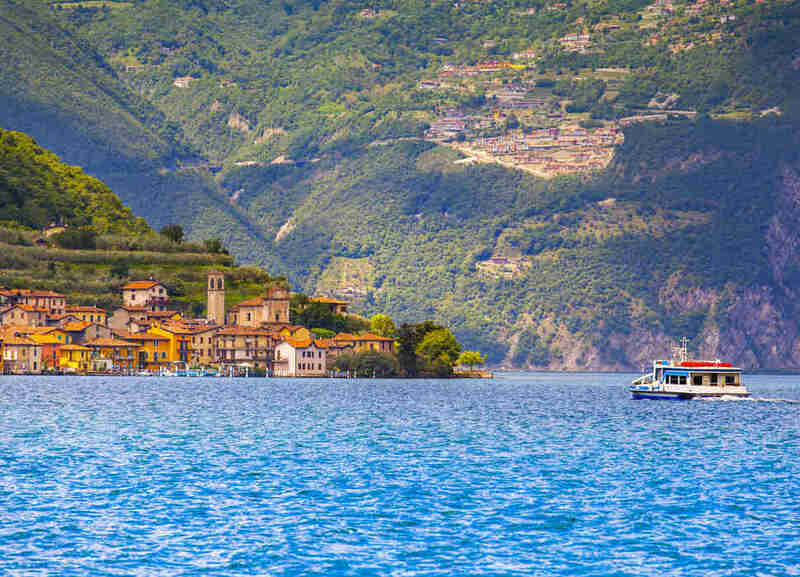 Sporty and family-friendly, the largest lake in Italy is swarmed by sailors, windsurfers, and boaters. (The Italian national sailing team trains here for the high winds during the middle of the afternoon.) It’s also home base for German, Austrian, and Swiss hikers who just spent the last few weeks trekking through the Alps, so expect lots of beer and schnitzel on the menu alongside northern Italian classics. 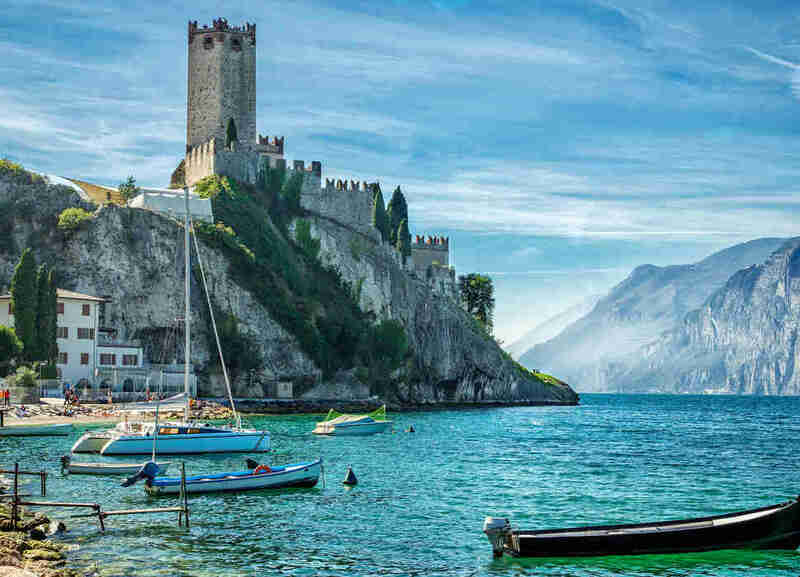 On the lake’s north side, Riva del Garda makes a great base, as does Salo, on its southern side, once the favored hideaway of Benito Mussolini. Ferries will take you to super-cute tiny towns built into the side of limestone cliffs. Northeast of Lake Garda is Trento, a true Alps stunner steeped in history with ancient buildings like the Castello del Buonconsiglio. Set on a vital Roman trade route, the city in the 1500s hosted the Catholic Church’s counter-Reformation Council of Trent. It also used to belong to Austria before changing hands after World War I; you’ll hear the residual in the accents here. Inside the city, take in the Renaissance architecture of Castello del Buonconsiglio. Outside the city, amble through scores of small downs in the Dolomites and the nearby wine region Alto-Adige, known for its robust whites with high minerality. To the south of Lakes Garda and Iseo is Brescia, unfairly derided as an industrial city not worth visiting. But, yes, go -- and you’ll have the place largely to yourself. The old city center is a living museum for history and architecture geeks, with Roman ruins, Venetian squares, Mussolini-era Brutalist architecture and medieval buildings. 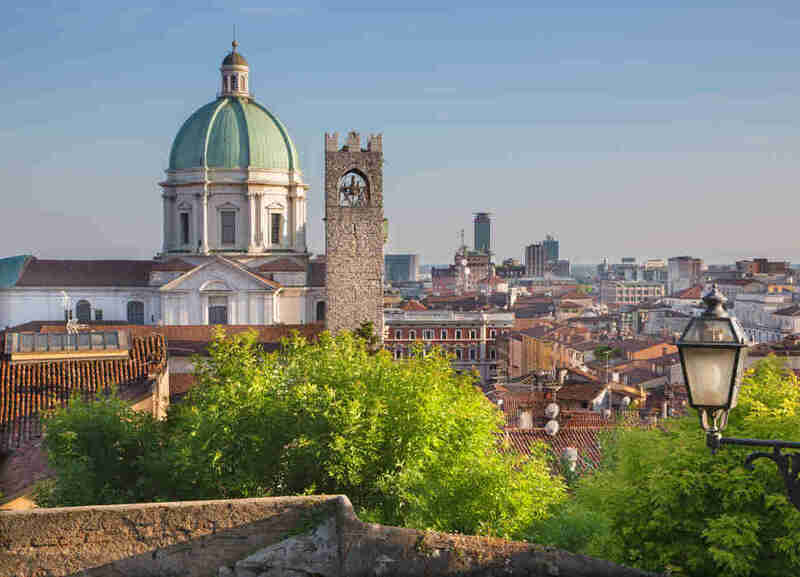 A walk through old Brescia reveals distinct, authentic historical themes in every square. Don’t skip the Tempio Capitolino, one of the best preserved Roman ruins, with its forum, amphitheatre, and temple. The economic and cultural hub of this region is another misunderstood city well worth a visit. 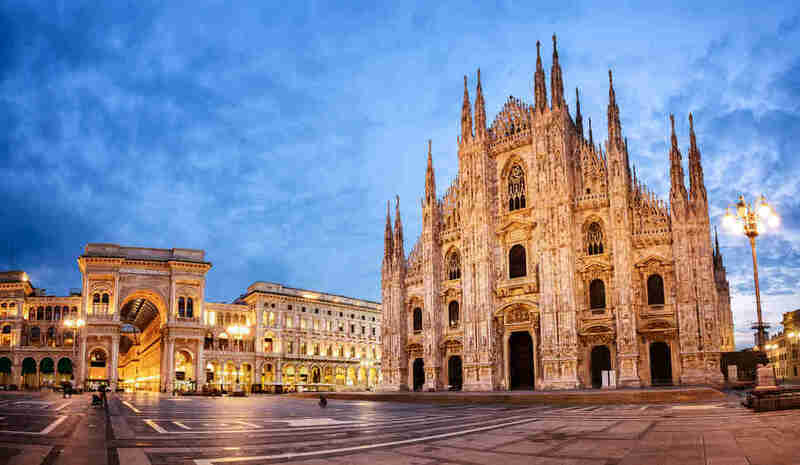 The Galleria, the Duomo, and Leonardo da Vinci’s The Last Supper bring the day trippers; stick around and you’ll find a dynamic city with a pulsing nightlife, fashion nonpareil, and a fantastic food culture. Milan is the capital of aperitivo, the Italian tradition of snacking with bitter alcoholic drinks before dinner -- or in place of it, depending on how hard you go. It also gave the world risotto milanese, with saffron and osso buco, and the delectable-but-heart-stopping veal milanese, which is pounded, breaded, and fried in butter. Head to the Navigli district for aperitivo, where you’ll eat and drink streetside along a canal. Mostly in Switzerland, this lake looks the part, with alpine peaks rising over its bright blue water. Shop and eat in Lugano, the main city; it’s the draw here, more than the lake’s average beaches. Then find the statue of George Washington next to the lake. My dad and I found it on a walk when I was 15 and to this day, it confuses me. 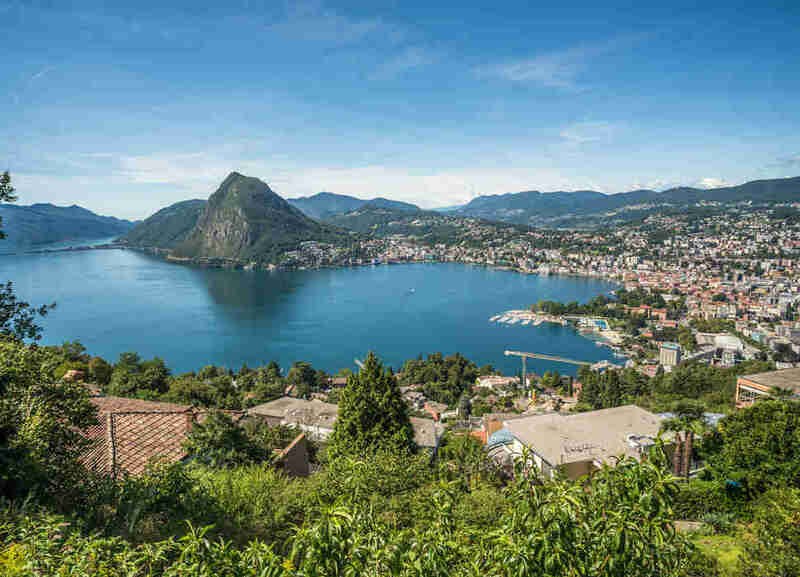 Washington apparently never set foot in Lugano, but legend has it a wealthy 19th-century businessman erected the statue as a monument to opportunity in the States. The smallest and westernmost of the lakes, it remains one of the area’s hidden gems, one Italians would likely prefer to keep to themselves. While Lake Iseo has a thriving local economy and population, Orta is just as local, but more in the vacationing sense. 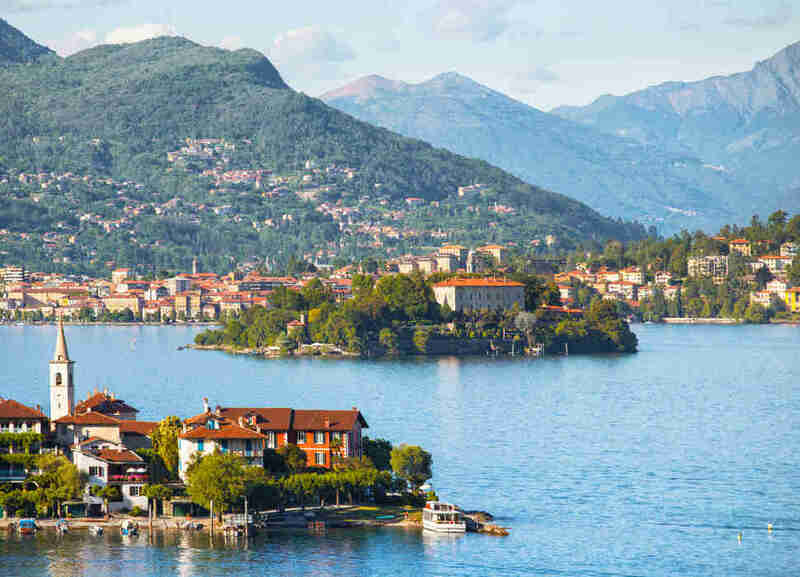 The main town here is Orta San Giulio, the textbook example of “romantic,” marked by winding streets, old stone walls, and rustically gorgeous 19th-century buildings. It’s also a favorite literary hideout for notable poets and writers; these days, it hosts a poetry festival every fall.